Listen to Meteorologist Mike Mihalik on WRNJ! 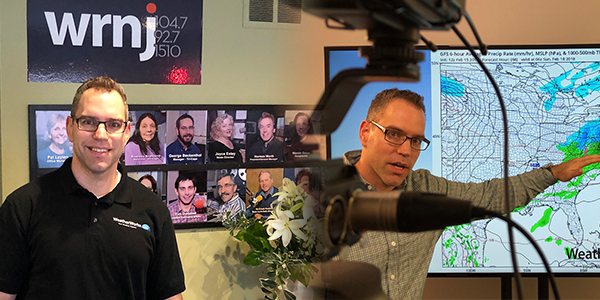 Our very own Meteorologist and Director of Social Media, Mike Mihalik, was featured on WRNJ Radio's Newsline program on Thursday, May 3rd! He was interviewed by Joyce Estey, News Director (wrnjradio.com). They covered a range of topics but mostly focused on this past March and the train of nor'Easters that struck the Northeast United States. If you missed last week's program on WRNJ, or if you're out of their listening area and want to hear what Mike had to say, we have the link to the interview posted below! Be sure to listen in!